If you are looking for different ideas to decorate your house for a birthday or any other party, bunting should be the most preferred option for you. Giftwrap offers single color and printed buntings that you can use stick on your walls and give them a colorful look. The two types of buntings that you get from the Giftwrap are made from synthetic material and PVC respectively. Select the one that you desire and make your party happening. 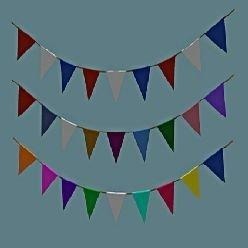 We need bunting in order to place it for dressing up parties and occasions. 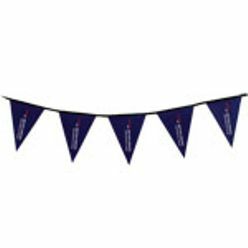 There are different types of bunting available at Giftwrap so you can easily choose one according to your taste. The two types of bunting available are triangle bunting and bunting. Triangle bunting is made out of synthetic material and has 4 triangles per meter. On the other hand, the other one is PVC bunting that is colorful and more decorative than the triangle bunting. Therefore, whether you want a decent bunting for your home or other purpose, getting the ones at Giftwrap will not disappoint you at all. These buntings are unique and serve their purpose extremely well.